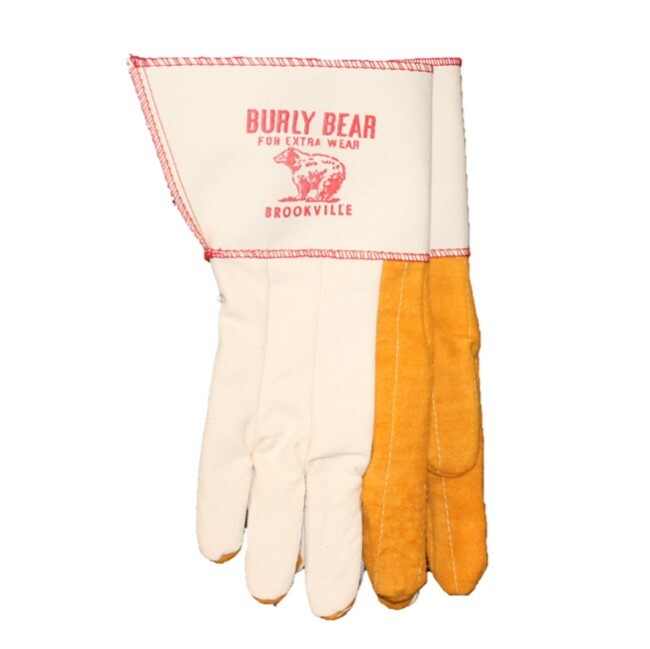 The Burly Bear is made in the USA out of American made 18 oz. gold and white cotton material. 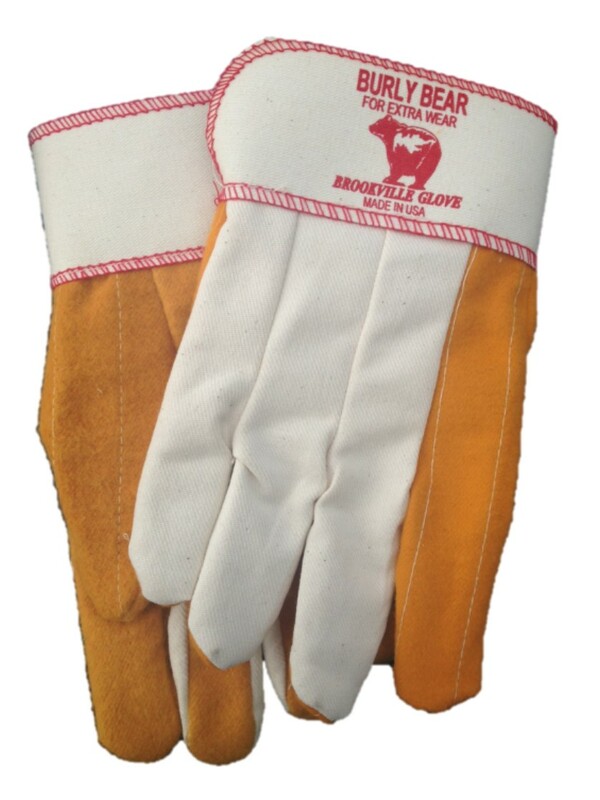 It is double palmed with a 100 % cotton liner with an overcast safety cuff. Now sold by the PAIR. Online ONLY. The Burly Bear is made in the USA out of American made 18 oz. gold and white cotton material. 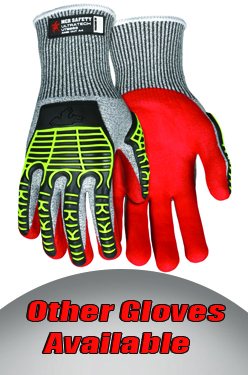 It is double palmed and has a 100% cotton liner with a knit wrist. Now sold by the PAIR. Online ONLY. One Size. 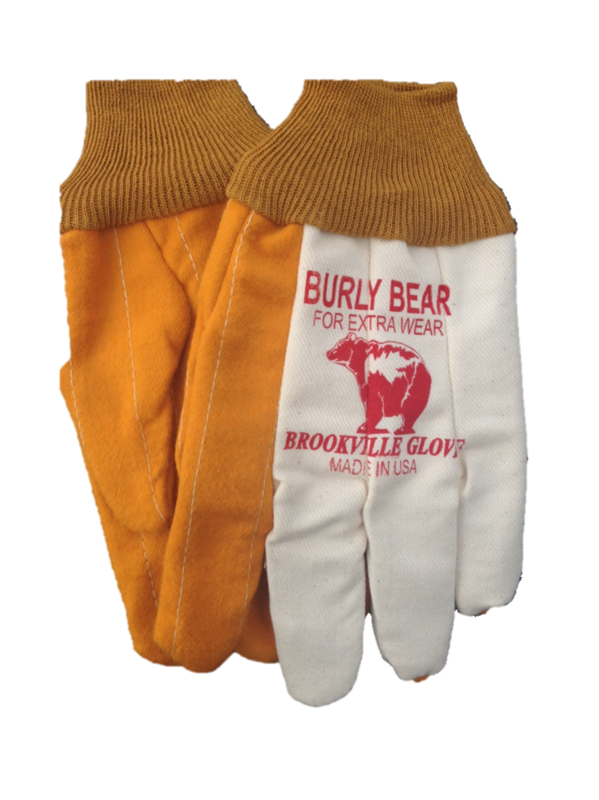 The Burly Bear is made in the USA out of American made 18 oz. gold and white cotton material. It is double palmed and has a 100% cotton liner with a bandtop cuff. Now sold by the PAIR. Online ONLY. 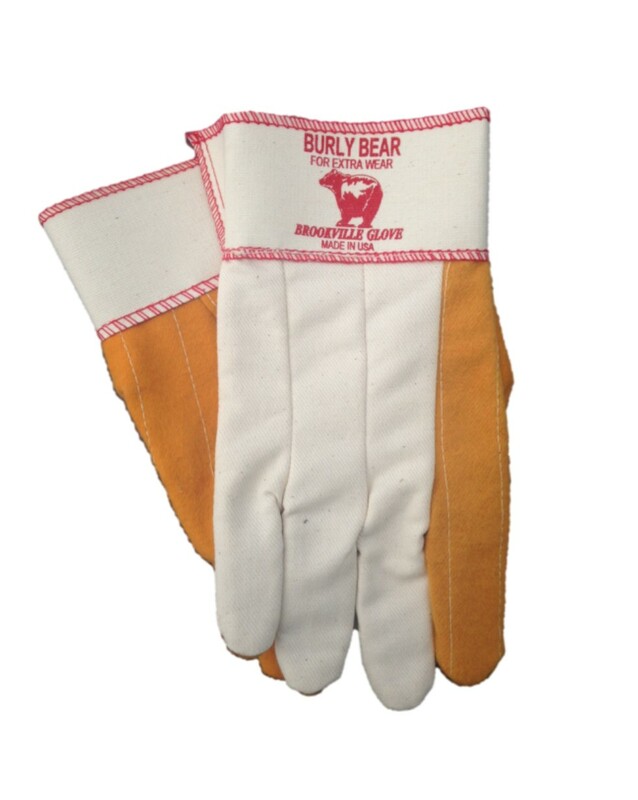 The Burly Bear is made in the USA out of American Made 18 oz. gold and white cotton. It is double palmed and has a 100% cotton liner with a gauntlet cuff. Now sold by the PAIR. Online ONLY.